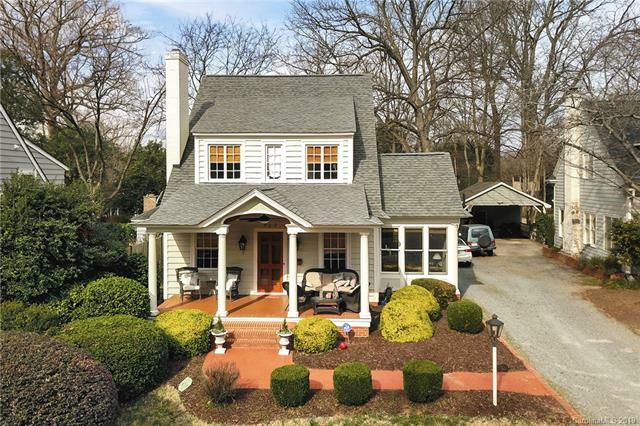 Beautiful Dilworth home with inviting charm and character rich features. As you drive by you'll see an elegant curb appeal with mature landscaping. Walk up to the large covered front porch perfect for relaxing or entertaining. Walk into this well planned home and feel historic Dilworth class with high ceilings and updated touches throughout. The main level is complete with master bedroom and elegant sunroom that flows from the living room. Additional features include; exterior gas lanterns, spacious backyard with covered patio, and basement storage. This home is offers incredible location with proximity to all the amenities of Dilworth and Uptown Charlotte.